Of the many notable advancements in dental technology, dental implants have to be one of the most significant. Before the introduction of dental implants, patients who had lost a tooth only had two options: bridges or dentures. But, thanks to dental implants, patients who’ve lost a tooth or two previously now have an attractive, permanent replacement option that’s similar to a real tooth in many ways. Dental implants are made up of three major components: the fixture, the abutment and the replacement. The procedure typically starts by inserting the fixture into the jaw bone and letting it heal. Once the area has fully healed, the abutment is then inserted into the fixture. Finally, the replacement prosthetic tooth is then inserted, which the fixture holds in place for years to come. What makes dental implants truly exceptional is that they’re typically made out of medical-grade titanium. This is because unlike other materials, titanium not only is durable, but is also very rarely rejected by the human body. Those who were afraid of smiling or even talking can easily feel much more confident in their smiles thanks to dental implants. Made to feel and look like real teeth, dental implants are just much better for a patient’s self-confidence. Not only that, but because dental implants are held much more securely in place, talking and speaking feels just as natural as with real teeth. Patients don’t need to worry about implants coming loose like dentures. Nor do they have to be anchored to other teeth, like bridges. Aesthetics aside, dental implants are also just that much better for oral health. 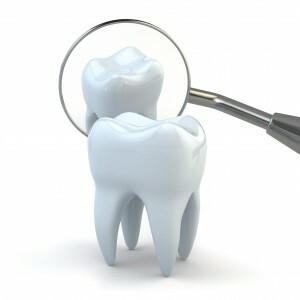 Generally, dental implant surgery is very safe, with its success rates very high as well. Although dental implant success rates depend on the location of the missing teeth, the American Association of Oral and Maxillofacial Surgeons (AAOMS) reported an average success rate of more than 95 percent in 34 implant outcome studies. 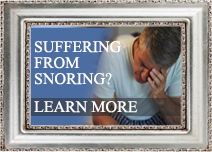 In addition, the procedure itself carries very few risks of complications. But, be warned, the procedure may not be suitable for those who smoke regularly or suffer from diabetes. 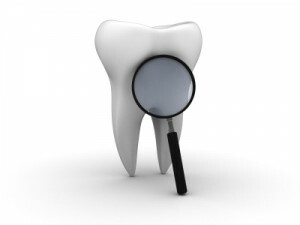 Your dentist should be able to evaluate to see whether dental implants are a good fit for you or not. 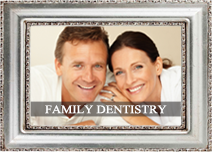 As is with any other dental procedure, good oral health habits are necessary for them to be truly successful. Don’t worry, though, because caring for dental implants is as easy as caring for your natural teeth. All you have to do is to remember to brush and floss your teeth regularly, and visit the dentist for cleanings and checkups every six months or so. If you’re missing a tooth and believe that dental implants are a good fit for you, don’t hesitate to schedule an appointment with Dr. George Kirtley at 317-841-1111 or www.smilesbygeorge.com. Once you achieve that picture perfect smile with porcelain veneers, you need to be sure to take good care of them. 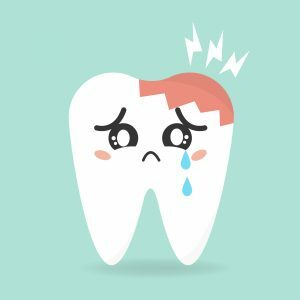 According to Dr. George Kirtley of Indianapolis, IN, Dental problems take their toll on veneers, so taking care of your teeth and gums is essential. Veneers are attached to your actual teeth, which means gum and hygiene problems can greatly affect the veneers. One way to keep your porcelain veneers at their best is to polish them. 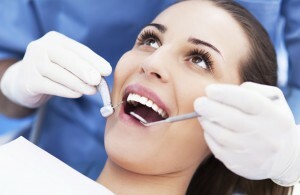 You can have your teeth and veneers polished once every three to four months. Special tools will be used to buff and clean your teeth and veneers thoroughly. In addition, regular brushing and flossing and regular dental visits will keep your veneers looking great for years. Even though porcelain veneers act like regular teeth, they cannot withstand excessive pressure. Always try to avoid biting on hard bones, holding things between your teeth, or even chewing finger nails. Also, chewing ice can be extremely damaging to your teeth and veneers, chipping or breaking them. If you engage in sports, always be sure to wear a mouth guard. 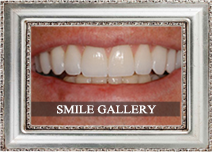 Porcelain veneers are made of a bonding material that does not wear down easily. With proper care as noted above. Veneers can possibly last your entire life. One of the many reasons porcelain veneers are one of the most popular options for smile makeovers. 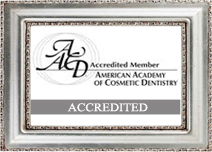 For more information on porcelain veneers or to make an appointment call, Dr. Kirtley at 317-841-1111 or visit his website www.smilesbygeorge.com. Not many people know what a dental implant is, what it does and if it’s right for them. Dr. George Kirtley DDS of Indianapolis, IN has put together some information to shed more light on dental implants. A dental implant is an artificial tooth root that is placed into your jaw to hold a replacement tooth or bridge. 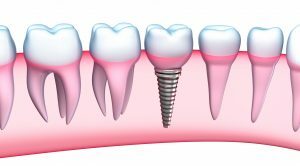 Dental implants are good for people in good general oral health who have lost a tooth or teeth due to periodontal disease, an injury, or some other reason. Dental implants are natural-looking and feeling and under proper conditions, such as placement by a diligent patient maintenance, implants can last a lifetime. Endosteal (in the bone): Most commonly used type of implant. Screws, cylinders or blades are surgically placed into the jawbone. If you think you could benefit from a dental implant, make an appointment today with Dr. Kirtley at 317-841-1111 or visit his website at www.smilesbygeorge.com.